nlock the wonders of bakery, confectionery and patisserie in Hall 1A where you will find the must-have baking and dessertmaking essentials including basic ingredients, equipment and supplies, icing/cake decorations, packaging solutions as well as the flavoursome end-products. Here you can discover traditional recipes and innovative flavours spiced up with new ideas and whimsy. Chocolate World is presenting in Asia its new collection of professional polycarbonate moulds for chocolate production 2019. With over 2000 shapes in its range, Chocolate World is the market leader and the trend setter since 30 years. OneShot Tuttuno in combination with the vertical chocolate cooling tunnel SPIDER. Simultaneous dispensing machine to produce, in a single operation, filled products like pralines on polycarbonate moulds, boules, eggs and products with particular features. Silikomart is an Italian company specialised in the production of silicone moulds and accessories for pastry, gelato and Ho.Re.Ca. Garden offers various types of high-quality sandwich breads, such as crustless, wheat and low sodium sandwich breads with different thicknesses, which fit for consumer requirements尸. In 1985, PreGel launched soft serve Frozen Yoggi® starting a new product category and giving life to the proliferation of yogurt chains and several thousand independent retailers around the world. A moist cake made with natural lemon, low fat yogurt and brown cane sugar, decorated with healthy mix of rye flakes and flaxseeds. Precut by 10 portions. WHERE BUSINESS GOES TO GROW Hong Kongâ&#x20AC;&#x2122;s strategic location and world class infrastructure make it an ideal business hub in Asia. Its free flow of information, simple and low tax regime, range of financing options and easy access to Asiaâ&#x20AC;&#x2122;s fastest growing markets make it the perfect place for your business. Invest Hong Kong has the expertise to help you set up and expand smoothly in our city. 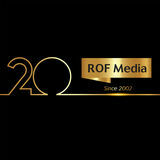 Our services are free, confidential and tailored to your needs. ndorsed by the World Association of Chefsâ&#x20AC;&#x2122; Societies (WACs) and co-organised by the Hong Kong Chefs Association (HKCA) and International Culinary Institute (ICI), HKICC is deemed one of the most prodigious events in Asia, attracting over 900 talented chefs and apprentices from around the world to compete for the culinary crown. 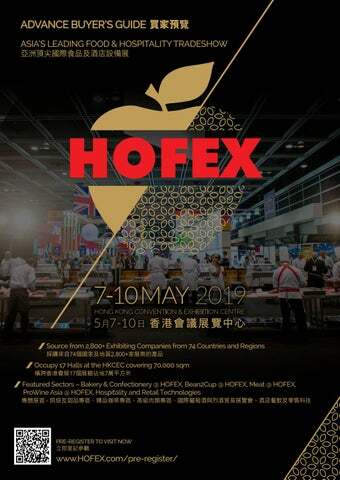 Join us and feel the heat of HOFEXâ&#x20AC;&#x2122;s flagship event! rind out the details to make a perfect cup of coffee in Hall 1B’s coffee zone! From Bean / Powder, Roasting Machines, Espresso Machines & Barista Equipment, Disposable Cups to Specialty / Blend / Instant Coffee, the specialised sector provides everything that baristas, café owners, producers and suppliers wish for. Taikoo Golden Color Coffee Sugar Crystals are golden in colour with grain size much larger than white granulated sugar. It is designed to dissolve slower in the coffee to let that first aroma of the coffee stand out. The sweetness then blends in slowly to give the different levels of coffee enjoyment. Nespresso Compatible COMPOSTABLE capsules that leave no trace, the only mark they leave is in your palate. Blend of ORGANIC COFFEE with body, flavour, strenght and creaminess. It gets fully degraded in 12-20 weeks. Cameo is a high-performance automatic coffee machine designed by Swiss-manufacturer - Eversys. Its anti-gravity brewing technology, e’ foam milk frothing system, powder quantity control and telemetry make every cup produced with consistent quality. We created the Pro Tea Collection so tea lovers of the world can enjoy their favourite teas just that easily and simply, whether it’s tea for one, two or three we’ve got it covered. Designed by Simon Stevens, the range works in harmony with the tea brewing. The V6 model includes the latest generation of LEVA CLASS® technology, breathtaking from the first glance. A painted, hydroformed steel and tempered glass chassis highlights the exclusive technology, the advanced components and meticulous. The illy 100% Arabica blend is made of 9 of the world‘s best selections of Arabica, serving more than 7 million cups in the finest cafés, restaurants, hotels and in offices and homes. he 4-in-1 competition looks into the care and technique showcased in every cup of coffee. To be crowned the best barista, contestants must rise to the challenges of demonstrating coffee lexicon and know-how, assembling a grinder, creating latte art and co-operating with other teammates. Join the revolutionary event and indulge your coffee cravings! ome to Hall 1B-E to search for ways to streamline customer experiences. Here you will be exposed to all kinds of catering and hospitality equipment and supplies ranging from manufacturing, production to packaging, as well as design products and facilities that give your business a complete facelift. Compact meat mincer for sales counter and preparation room. Clearance-free fit for gentle comminution without warming up and with high oxygen enrichment for a longer product life Optimised worm shape for efficient feeding, largely without re-feeding. Small but 100% TurboChef. Our smallest footprint. Operates ventless, the most energy-efficient TurboChef microwave-oven with all the latest features. The perfect balance of speed and economy. Collaborated with worldwide famous designer Barbara Barry. Haviland porcelain is 100% made in Limoges, France. Refined with platinum, suitable for the dishwashers. Covered with leather, the LED menu adopts the LED-backlit technology to generate soft lighting, letting your customers read clearly in dim areas with comfort. Offered in different sizes, colors, materials and custom logos. 1st Hong Kong design and Asia produced lead-free crystal craft beer glass, designed specially to serve hoppy beer types like Pale Ales, IPAs & Hoppy Porters etc. heck off your meat products and equipment wish list in Hall 3B. To meet the surging demand for prime cuts in Asia, the world’s leading meat purveyors from Belgium, Brazil, Colombia, Denmark, France, Germany, Ireland, South Africa, Spain, UK, USA, to name a few have gathered for a meat feast and awaiting your arrival. Delicious Spanish cured ham deboned and reduced salt level. 100% Profit. No waste. When you cut it, meat appears with a uniform color between intense pink and red, spaced out by the white streaks of fat. Chilled pork meat in vaccum package. A world-class pork belly rib cooked to perfection and smothered in a sweet and sticky BBQ basting sauce. This product is available in 700g, 1kg and 15kg bulk box great for HORECA. Come and discover our Iberian dried ham Bellota 50%, minimum 36 months maturing. A high tasting quality, a smooth texture, an intense marbling and its authentic taste of hazelnut perfectly describe this premium product. We work with lamb meat of all ages, always respecting the highest quality. Among them, it is worth highlighting the following: milk lamb, light lamb, older sheep and offal. The Perfect Partner for Dry-Aging. For use by restaurants, artisan meat suppliers and the enthusiastic home “foodie”. Surprisingly affordable, direct from German manufacturer. Plug and go, no water connection required. Exclusively distributed by Langtech Limited. The Señorío de Montanera acorn-fed ham comes from pure Iberian pigs, reared on acorns during the montanera season in the pastures. ponsored by Sutherland Gastronomy, the competition covers all facets and skills of today’s butcher including general workmanship, meat cutting, displaying and the creative usage of meat. 15 teams of talented butchers from around the world will showcase their passion, precision and power to be on top of the game. Food Truck hits HOFEX’s culinary scene Make way for the dazzling star on the move! Sponsored by the Butchers Club, the meat truck will drive its way to Meat @ HOFEX for an on-site barbeque using meat from the Butchery Skills Challenge. The project works in line with HKSAR’s food truck initiative to boosts diversity, creativity and quality in Hong Kong’s F&B industry.! Enjoy the fresh brew @ Beer Street After cooking, premium meat dishes will be shared with top craft beer brewers and companies at the beer street adjacent to Meat @ HOFEX. Tickle your taste buds with the best-quality meat and beer – the best combo of all time! OFEX has reached an international dimension with 74 exhibiting countries and regions and 48 national groups and pavilions. In addition to long-supporting members including Japan, Australia, UK, USA, Germany, Austria and Spain, we are delighted to welcome new joiners including AANA - Agence de lâ&#x20AC;&#x2122;Alimentation Nouvelle-Aquitaine France, AREI Latvia, Association PorkColumbia, British Columbia, Ministry of Agriculture Czech Republic, Spanish Beef, VLAM Belgium, etc to bring more intriguing novelties to the table. Omnipork is an established food scientist team in Canada that has spent 2 years of comprehensive research to create this nutritionally superior analogue comprised of a proprietary blend of plantbased protein. Mixtures of spices to fall in love with. Dress your plate in a spinning of the grinder with the most recognisable flavors of each cuisine. Simple and quick. The BEST Japanese Roast Eel you can find in the market. HALAL Certification speaks it all, this means only fresh and living eel are used for our products. Premium quality Extra Virgin Olive Oils. Exquisite taste and unmatched aroma born from cared and cherished olives with great respect towards the environment. We have been holding the certification of MSC and ASC since 2016. We import Lobster tails from all over the world with a particular focus on Canada, Middle and South America with high quality value-added and wild caught in difference size. Matured goat cheese with a special lactic bouquet, with 20 days of maturation. we have this product with Rosemary, with wine, paprika, lactose free...Format of 2.5kg,425g,280g. Dolomia, from the Italian Dolomites, 40 years’ natural filtration by dolomite rock, absorbed precious mineral substances, light and pure. We select only the best beans and pulses at Epicure, certified organic for a truly quality product. Rapidly growing in demand across Asia, feeding the demands of increasing healthconscious consumers. sia’s leading retail exhibition Retail Asia Conference & Expo (RACE) will be co-located with HOFEX to bring state-of-the-art technologies, products and solutions to retailers, caterers and hotels. This brand-new collaboration is at the forefront of helping retailers adopt hospitalitybased interfaces while facilitating sales operations and digital performance in the catering and hospitality industry. The latest trend for “Smart Restaurant”, selfcheckout technology. Easy, fast and seamless orders. Your customers will spend less time in queue and have more time being satisfied. Provide wireless Stand-Alone terminals which can fit on any environment and pair with customer’s POS for system integration to expand business opportunities. Our kiosk provides a self check-in/out, reservation service and merchandise sale to customers. It provides convenience to customers and costsavings of running are major advantages of using it. Stand out your online or e-commerce product images from typical static images. Customers can view your product ‘digitally’ in different aspects as they want to understand the product dynamically. T300 Countertop Terminal is a powerful payment device that can handle various payment transactions like credit card, debit card, EMV, loyalty, installment, contactless payment and QR code payment in a single terminal. An autonomous floorcleaning machine for businesses, powered by Brian Corp, equipped with a laser range finder, 3D camera, collision sensor.